We celebrated the Galician Literature Day on May the 16th. On the same day, we also celebrated May Day, as a way of welcoming spring. 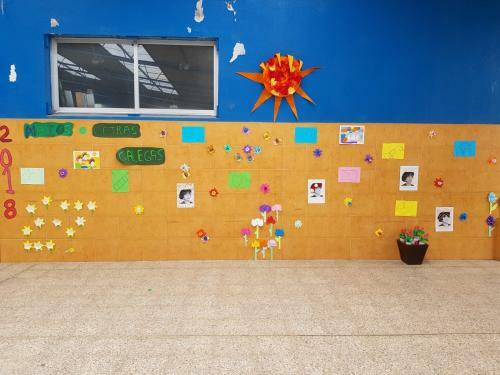 Students from Primary Education decorated the patio with different types of paper flowers, such as narcissus, hyacinths and tulips. This year, the Day of Galician Literature was devoted to María Victoria Moreno, a Spanish writer and teacher who was one of the pioneers of literature for children and young people in Galicia. Year 4 students decorated some pictures of her. Each year, in our shool, we celebrate the Day of Rosalía de Castro on February 24th. 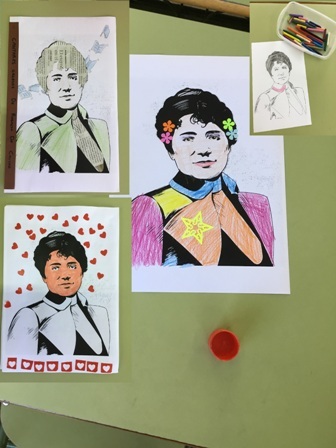 In the Arts and Crafts class, each pupil dedicated one lesson to decorate a picture of the most outstanding modern writer in the Galician language. YEAR 3 students have been working with the winter theme, too. They used paper cups to make these singular penguins. We are going to contribute to the school’s celebration of Peace Day on Tuesday 30th. 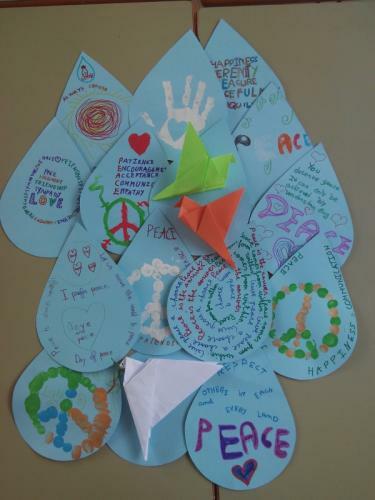 We want to share the message of peace with these rain drops, where pupils have drawn peace symbols, glued origami doves and written some words and sentences that show what peace means to them. 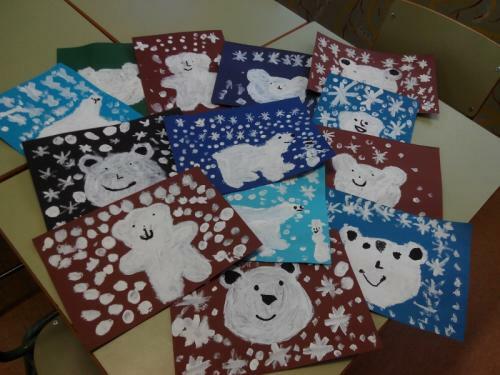 As we are in winter, YEAR 1 students started second term drawing and painting polar bears, with paintbrushes. They also had lots of fun tracing snowflakes. They are real artists! 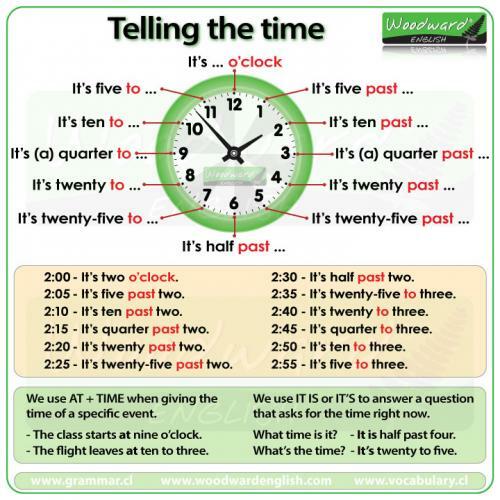 Learning how to tell the time in English may be hard, so this picture can help us to answer the question: "What is the time?". Welcome to our blog for English and Arts, a place where you can look up some tricky questions and see the creative works of our students, too.